Beasley House Bistro is a charming bar and restaurant situated in the heart of Hamilton. 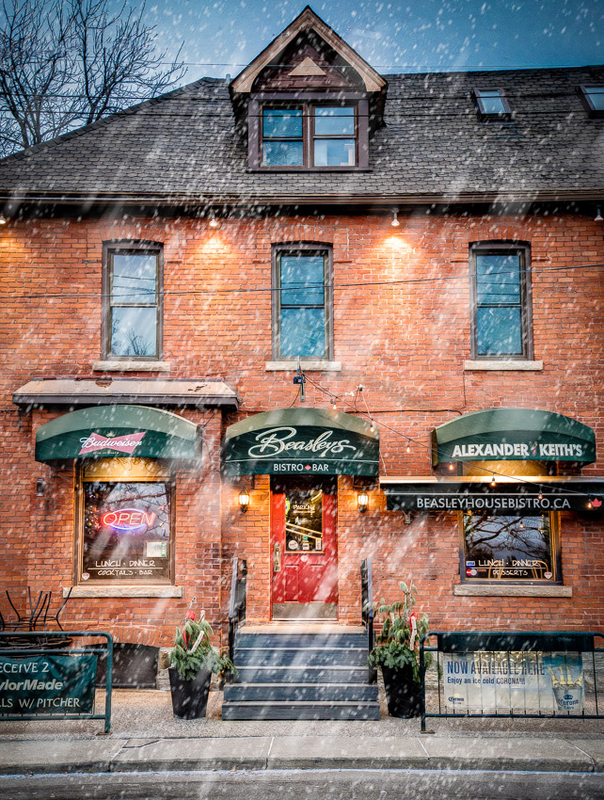 Located in a grand historical century home on trendy Locke Street, Beasley's has been a neighbourhood treasure for 30 years and a destination for out-of-town diners and theatre goers seeking a delicious meal with easy access to the downtown core. Our lovely patio seats up to 30 and is a summer hot spot for friendly drinks and dining. Enjoy a pint of beer and fish and chips or a cocktail with the dinner special. It's a great place to relax and enjoy the outdoors on sunny Friday afternoon or beautiful summer night with friends or family. Beasley House Bistro offers an upscale dining experience at affordable prices. You'll appreciate the quaint dining room, friendly service, sumptuous starters and exquisite entrées. Try the signature Wild Mushroom Ravioli or our famous Seafood Crepe. You'll be surprised by the prices.